It's a tough time to be a journalist. Advertising has dried up, the print news industry is capsizing, and some of the best writers, editors, photographers, and designers are out of work. In 2008, it was an even tougher time to be fresh out of college with degrees in journalism. But that's exactly where we found ourselves: young, enthusiastic, and facing the most dismal of job prospects. But rather than wait for the work to come to us, we decided to just start writing and see what happens. And so, Silicon Sasquatch was born. Our mission is to offer perspective on the cultural impact of games in a relevant and approachable way. Too often, video game journalism fails to go beyond the status quo, resulting in problems ranging from sloppy grammar to bad reporting. Though our resources are limited, we're continuing to work tirelessly to produce an ethical and earnest publication that we can be proud of. Thanks for your support! If you like what we're doing, please spread the word through the social media links at the top of our site. Nick Cummings is a writer, game designer, and web developer who lives in Portland, Oregon. Silicon Sasquatch is officially the longest-lasting commitment in his life. A graduate of the University of Oregon's Journalism program, Nick earned a degree in Magazine Journalism and a minor in Digital Arts, but he learned the most from his time working for the Oregon Daily Emerald, the university's independent student paper. After a few whirlwind years working at Facebook in Austin and a brief stint at Nintendo, Nick spent some time exploring a career path in game development before moving into web development. 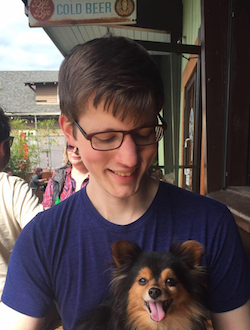 He spends his free time making games and leading a meetup group for wayward game developers. As a child of the multimedia generation, Nick has always been drawn to writing and storytelling in both traditional and interactive media. He's (still) not sure where he'll find his niche in the long run, but in the meantime he remains passionate about contributing to the discussion of the gaming medium the best way he knows how: by writing, editing, and podcasting his heart out. 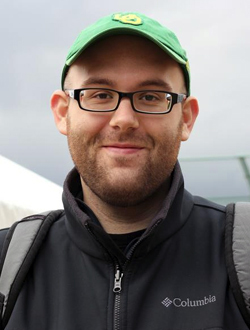 Aaron Thayer is a graduate of the University of Oregon's School of Journalism and Communication, where he earned a degree in Magazine Journalism and minored in History. He later graduated from Portland State University with a Masters of Science in Professional and Technical Writing. He's built a technical writing career across various industries including tech startups like ZOOM+Care, established multinational companies such as Smarsh and Convergys, and collaborates with non-profits like National Novel Writing Month. A lifelong Oregon native, Aaron's also a married man with a mortgage: he usually goes to bed by 9PM these days. Aaron brings to Silicon Sasquatch an editor's eye for the big picture elements of a story—and lots of sarcasm. Doug Bonham is currently living the salaryman dream in Yokohama and the general wilds of Tokyo, Japan. A native of Portland, Oregon, he graduated from the University of Oregon with bachelor’s degrees in Journalism and Japanese, and from Portland State University with a Masters in International Management. A life-long gamer who’s been hooked since Super Mario Bros. and Duck Hunt on the NES, Doug enjoys all aspects of gaming. As a writer, Doug wants to look beyond the news-preview-review cycle of gaming and analyze games in a different way. Issues relating to Japan are also on the forefront for Doug. Though Silicon Sasquatch has had ups and downs, there’s one thing that keeps Doug coming back: the chance to create meaningful work with this group of writers. Through good and bad, there’s always time to work with close friends on a passion project. Spencer Tordoff is currently remaking his life in no small part due to his activities here at Silicon Sasquatch. Back in 2008, after living in Fairbanks, Alaska for his whole life and acquiring an associate's degree at the local university, he set forth for Seattle because it seemed like the thing to do at the time. And really, why else does anyone do anything? Now he's back at the University of Alaska Fairbanks and about five months away from a journalism degree. Funny how things come around like that. Gaming for Spencer began in earnest when he was four years old, with a Toshiba 8088 "IBM Clone," a copy of Microsoft Flight Simulator 1.0 and a fleeting (but immediately stifled) curiosity as to why his friends played their games in front of televisions. He also quietly wondered why their games had so many more than three colors, but again, he never gave the question too much thought. A fascination with radio, a fondness for the esoteric, and the occasional glass of bourbon drive Spencer's output on the site. Spencer's pet project is Player Accounts, a less-traditional gaming podcast, and he can often be found trying to track down stories for the show. 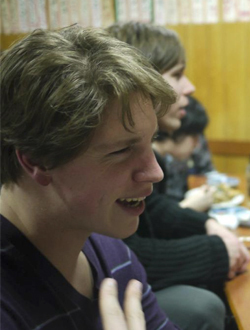 Tyler is a University of Washington graduate presently working as an Anglo-Linguistics educator for Japanese youths in the greater Tokyo region of Japan. He's also lived in California, Connecticut, and Washington. He started gaming during early childhood when his parents bought him a Nintendo Game Boy to keep him quiet on family trips. This quickly proved to be a gateway device that lead to harder consoles such as the Sega Genesis and Sony PlayStation. Though his attitude toward the gaming enthusiast media has changed over the years, he remains nostalgic for the golden age of Electronic Gaming Monthly magazine and the silver age of the 1UP Radio Network of podcasts. Tyler's greatest wish for games is they find a greater audience and reach the full potential of their storytelling capabilities.